Before joining RBC Wealth Management in 2013, I worked at Oppenheimer & Co. as the Managing Director of Investments. I bring more than 18 years of financial services experience working with high-net-worth individuals and families, non-profits organizations and corporations. Prior to working at Oppenheimer, I was the CEO of Boland Wealth Management, and I also spent time at UBS and Neuberger Berman. I earned a Bachelor of Arts from the University of Missouri and hold the Series 7, 24, 63 and 65 licenses, as well as being a licensed life insurance agent. 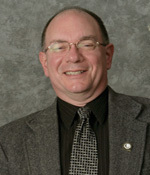 Jim Cali currently serves as the Director of Internal Audit for the Bi-State Development Agency in St. Louis, Missouri. He is a Certified Public Accountant (CPA) with 30+ years of auditing and accounting experience, including internal audits, financial audits, and forensic accounting, and financial investigations. He has been professionally recognized by the American Institute of Certified Public Accountants with a Certification in Financial Forensics (CFF) and the certification as a Chartered Global Management Accountant (CGMA). He has conducted financial investigations for over 100 criminal cases involving organized crime, terrorist financing, cargo theft, drug trafficking, embezzlement, bank fraud, securities fraud, insurance fraud, mortgage/loan fraud, auto theft, prescription drug diversion, arson-for-profit and money laundering. He has worked as the Forensic Accountant on joint investigations with local, state, and federal law enforcement agencies in addition to law enforcement agencies from Canada, Barbados, Bahamas, Haiti, Jamaica, and France. He has testified as a Forensic Accountant in state and federal courts, before Grand Juries, and as an expert witness in both criminal and civil proceedings. On September 7, 2007 Jim received the “Outstanding Law Enforcement Officer Of The Year Award” from the United States Department of Justice for his financial investigation related to a nation-wide prescription drug diversion and money laundering case. In 2008 he developed a graduate level Forensic Accounting course that is being taught at the University of Missouri – Columbia and Southern Illinois University – Carbondale. 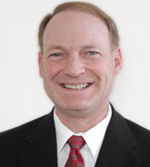 Professionally, he serves on the Board of Directors for the National Forensic Science and Technology Center (NFSTC) and the Missouri Society of Certified Public Accountants (MSCPA). Mr. Cali is also a member of the Association of Certified Fraud Examiners (ACFE), American Institute of Certified Public Accountants (AICPA), Institute of Internal Auditors (IIA), and International Association of Arson Investigators (IAAI). Robert L Day is the Managing Partner of weAudit.com (formerly Merchant Relief Council), a one-of-a-kind auditing firm that is revolutionizing the world of merchant processing by protecting merchants’ profits, often cutting their fees in half. Recognized as the “Industry Expert” of merchant processing by every major credit association (National Association of Credit Management, Credit Research Foundation, Credit Today, and Riemer Credit), he is a highly sought after speaker with his witty anecdotes and paradigm-shifting perspectives, giving him a rare ability to not just educate, but entertain. For 13 years, Robert was a top executive for one of the largest credit card processors in the country before crossing the aisle and co-founding weAudit.com. Now Robert has one simple goal: to educate merchants on how credit card processors use hidden fees to drive up fees by 30-50%. As a former corporate executive and former business owner, Robert has a special blend of experience and an intimate understanding of the needs of small to mid-sized merchants as well as Fortune 500 companies. It is Robert’s personal mission to lower merchants’ processing costs in order to “right the wrong” in the credit card processing industry and protect every businesses’ profits, ultimately defending and preserving the American dream. Robert is a nationally recognized speaker, blogger and bestselling author with his newest book Successonomics, co-authored with Steve Forbes. He has been quoted in the Wall Street Journal, Washington Business Journal, CNN Money, Yahoo Finance, Business Week, Business Credit, Credit Today, and the Credit Research Business Journal. Robert has appeared on NBC, ABC, and CBS television aliates speaking on how merchants can cut their credit card processing fees in half! Matt Garcia is the managing member of Barnett & Garcia. A graduate of the University of Texas at Austin School of Business and School of Law, Matt has prosecuted hundreds of cases on behalf of insurance carriers, creditors and financial institutions in state and federal forums. He is admitted to the State Bar of Texas and the Western District of Texas. He is a member of the Commercial Law League of America where he serves as Secretary to the Creditors' Rights Section. He is also a member of the the International Association of Commercial Collectors and Certified Collection Agencies of America. 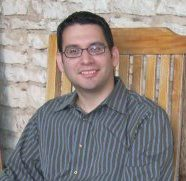 Matt currently serves on the faculty for the State Bar of Texas Collections & Creditors’ Rights Annual Course. He is frequently invited by attorneys and organizations to lecture on collections including the Justices of the Peace and Constables Association of Texas, University of Texas School of Law and the University of Houston Law School CLE Departments. In addition to lecturing, Matt also serves on the Editorial Committee for the Texas State Bar Collections Manual and the International Association of Commercial Collectors Collections Certification Manual.